"The city at its best"
The ultimate embodiment of community. “The city at its best” – Leah Garchik, San Francisco Chronicle. 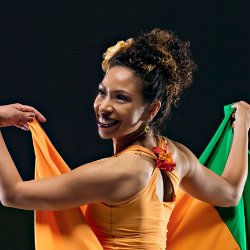 The San Francisco Ethnic Dance Festival returns to the War Memorial Opera House this July for two weekends of awe-inspiring performances in celebration of our 40th Anniversary. Our celebration begins with a free Rotunda Dance Series event at San Francisco City Hall on Friday, July 6, at noon, when we’ll fill that grand space with dance, music, and spoken word. Then, we return to the Opera House July 14-15 and July 21-22 for performances by 21 dance and music ensembles showcasing the best of the Bay Area’s magnificent artistic community. 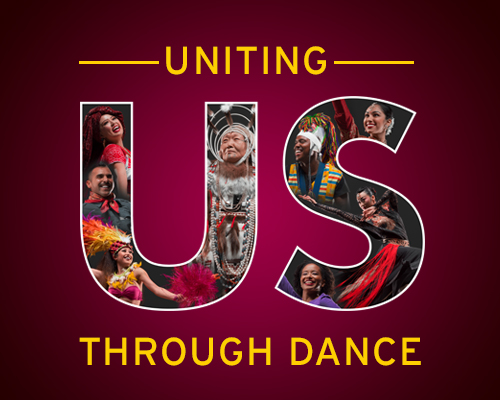 At this year's Festival, you’ll experience dances and music from Alaska, Bolivia, Cambodia, China, Cuba, India, Korea, Liberia, Mexico, Peru, the Philippines, Spain, Tahiti, the continental US, and Zimbabwe. New Festival Artistic Directors Patrick Makuakāne, Latanya d. Tigner, and Māhealani Uchiyama bring their combined decades of groundbreaking accomplishment to our stage in a new way. You can read more about the Festival artistic team here. Read the Festival press release here.